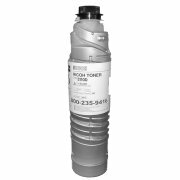 Compatible Ricoh Type 3110D, 888181 Black Copier Toner, 30,000 page yield. The use of compatible supplies does not void your printer warranty. Compatible Ricoh 888181 Type 3110D Black Copier Toner Cartridge, 30000 Page yield.